He has been started predictions, at an early age of 11 years,He learned Vastu & Astrology under the Guidance of Guruji Acharya Gopal Das Shukla ji . 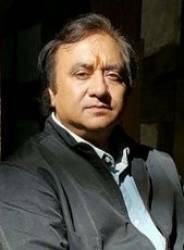 He developed the path of Trans astral & motion physics, which helps to solve many problems and practicing Astrology, Vastu, Palmsitry and Transastral,from past 22 years.Through the phone advice and personal consultancy, He is helping many people from all over India to resolve the problem that they face in their life. He is a dedicated astrologer, whose advice and suggestion is received by many people with high value and find peace in it. 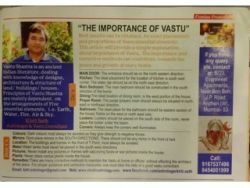 He is specialized in Astrology, Counselling Therapist, Meditation, Numerology, Palmistry, Vastu. Astrology is most popular system of prediction used extensively and widely all over the world from ancient times. A practitioner of astrology is called an astrologer or an astrologist. Astrologers cast the horoscope of native, which is a diagram of the position of planets & signs of the zodiac at a particular time and place. It is a mirror in which an astrologer can see one's past, present and future. Horoscope is like a snapshot of a particular place in time and space. If that instant in time is the time of birth of an individual and the space is his birthplace, then that horoscope is called a natal horoscope or natal chart or birth chart. There are 12 houses in a horoscope from which an astrologer can predict about various areas of the life of an individual. This horoscope enables the astrologer to know that it contains what type of promise and on the basis of this promise he can know easily that what the future has in store for the native. For the calculation of the timing of an event, which can be predicted on the basis of this promise the majority of astrologers use the knowledge of impact of major period/sub period and transit.